When Leila D. Denmark, left her office for the last time in the spring of 2001, her retirement from the practice of pediatrics marked the end of more than seven decades as a practicing physician. At the age of 103 years, she was thought to be the oldest living medical doctor in the United States at the time of her retirement, a person who had seen medicine from the days before immunizations to the advanced medical technology of the 21st century. Over the years a lot of things changed, but Dr. Denmark in so many ways did not. Her aim in life and in her practice was to give every child a chance, and for thousands of children she did just that with her emphasis on good parenting, good nutrition, and common sense. Her last office – a 19th-century farmhouse – was in stark contrast to modern doctors’ offices with their abundance of diagnostic equipment. 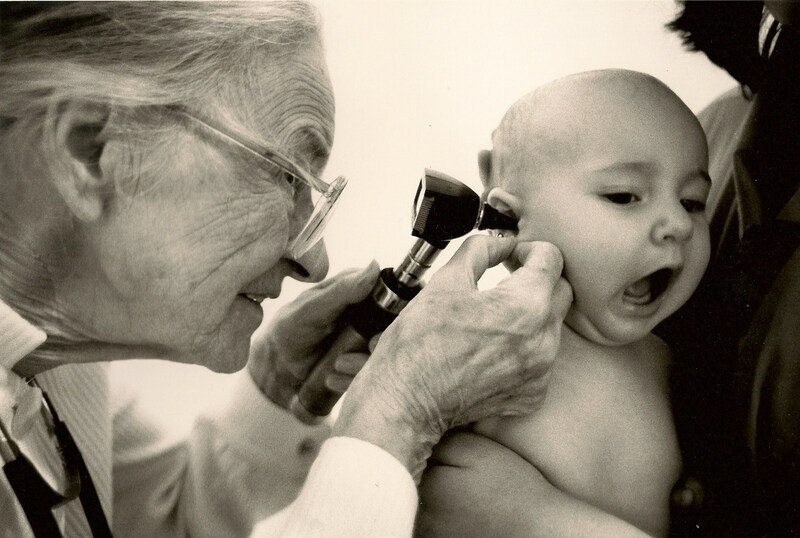 Her medical instruments were few and simple: a stethoscope, otoscope, blood pressure cuff, chemicals to test urine and to measure hemoglobin, and, most of all, an inquiring mind, the patience to listen to child and parent, and keen observation of every child who came into her office. Dr. Denmark, from childhood on a rural Bulloch County, Georgia farm, always wanted to heal and help, attending to baby chickens or an injured bull calf. After graduation from Bessie Tift College in 1922 and two years of teaching high school science, she applied to medical school and was admitted to the freshman class of the Medical College of the University of Georgia in the fall of 1924, the only woman in her class. She graduated in 1928, married that same year, and moved to Atlanta where she soon became the first intern at the brand new Henrietta Egleston Hospital for Children. She admitted the first patient to that hospital, now called Children’s Healthcare of Atlanta. 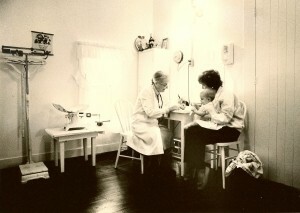 Following the birth of her daughter, Mary, in 1930, she opened a private practice of pediatrics in an office in her home; and for the next 71 years she saw her patients in an office connected to her house, first in Atlanta, next in Sandy Springs, and finally in rural Forsyth County, Georgia. Over the years Dr. Denmark was the recipient of a number of awards and several honorary degrees. 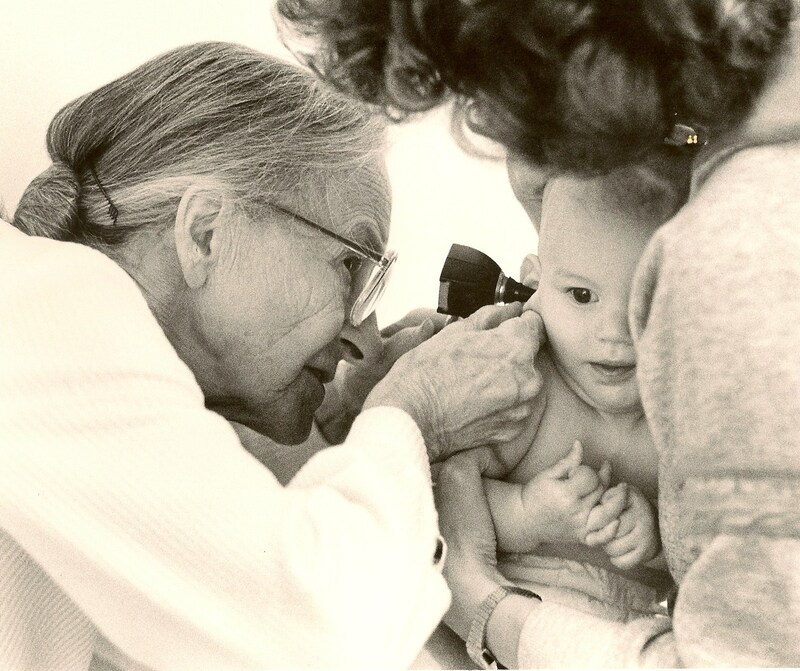 One of the most prestigious was the Fisher Award in the mid-1930s for her research and work in developing a vaccine against a the dreaded whooping cough (pertussis) which took the lives of so many infants. She was named Atlanta’s Woman of the Year in 1953 and over the next four decades received numerous accolades. 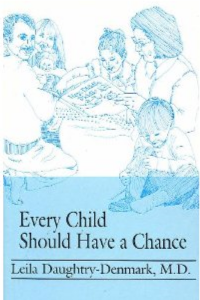 In the late 1950s Dr. Denmark began writing her ideas on the care and rearing of children, and this all became her book, first published in 1971 and later updated in the early 1980s, called Every Child Should Have a Chance. Privately printed, now in it’s 16th printing , it has sold thousands of copies. Dr. Denmark always felt, however, that the best rewards she ever received were seeing children – sometimes neglected and undernourished – blossom into happy, healthy boys and girls when parents really understood what they as parents needed to do to effect such changes. 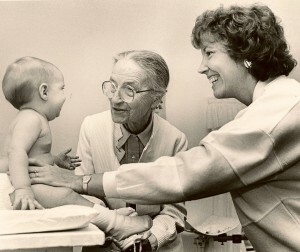 As Dr. Denmark reached her late 80s and early 90s, she was increasingly sought out by television and print media, but she never went looking for publicity nor interviews. In contrast, however, Dr. Denmark never hesitated to talk at whatever length with a parent of a child who needed help. Dr. Denmark passed away in April of 2012 at the age of 114. ©2017 Dr. Leila Denmark. All rights reserved. Website design by Dodeline Design.